The documentary ‘A Year With Armin van Buuren’ takes one year out of the roaring life of the Dutch DJ. Shot during an important year, the result is a unique documentary that offers a rare look inside the life and personality of the world famous DJ/producer. On October 6th at 9.30 P.M. CET, the documentary will be premiered worldwide via the YouTube channel of Dutch airline company KLM. 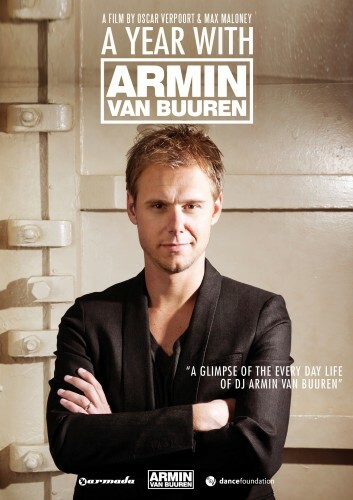 The documentary gives the viewer a look inside Armin’s life. From his parental house to the privet jets. It brings you from empty hotel rooms to the heat of the moment, as 100,000 clubbers await their hero. From the preparations of his ‘Mirage’ world tour and the phone call that’ll tell him if he’ll keep his number one DJ Mag Top 100 position. ‘A Year With Armin’ is a documentary of an important time in the life of the DJ and reveals his perfectionism and huge passion for music. The documentary will be premiered on KLM’s YouTube channel on October 6th 9.30 P.M. CET, after which it’ll be available for another 2 weeks. From October 12th on, ‘A Year With Armin van Buuren’ will be available on DVD.